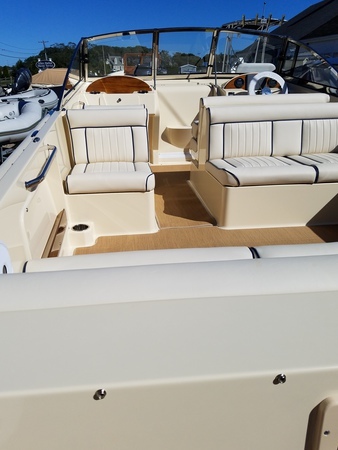 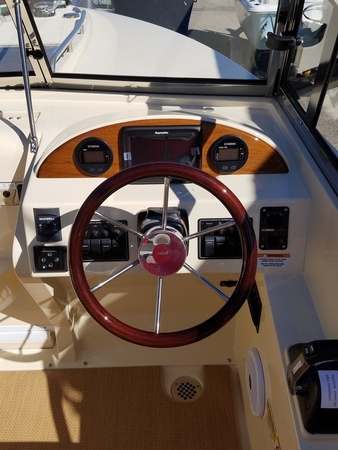 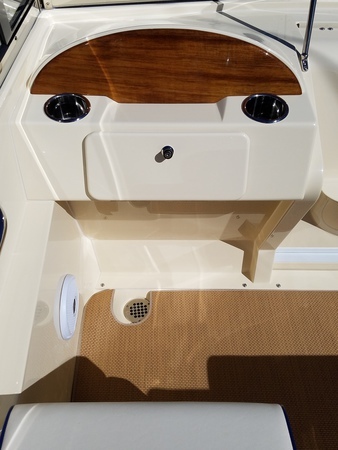 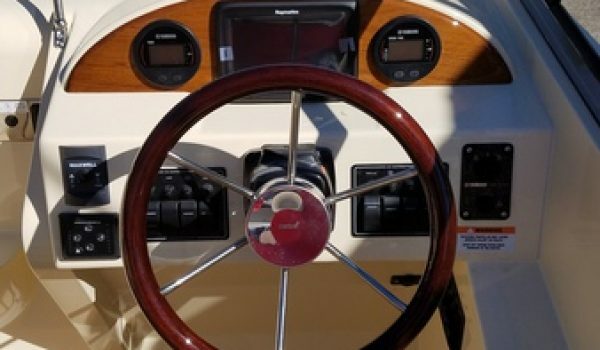 If you like Tiara, Limestone or classic Bertram’s than you have to sea trial a Rossiter 23! 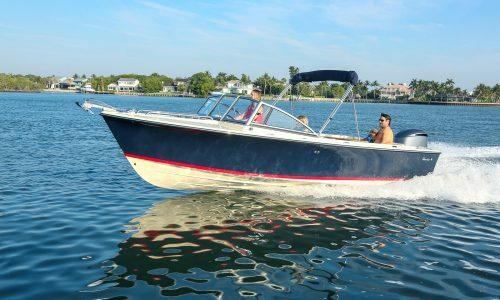 GEORGEOUS NEW 2017 Rossiter Classic Day Boat that turns heads in any harbor. 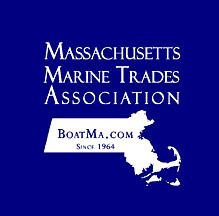 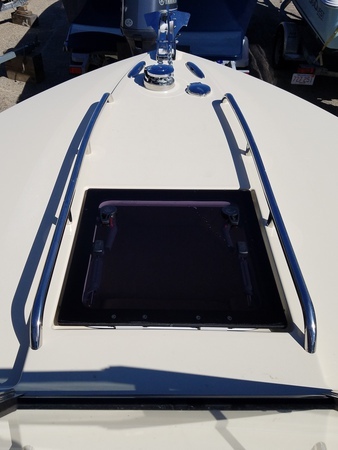 Navy Blue Hull with Antique White Deck & Liner along with a Red Boot Stripe! 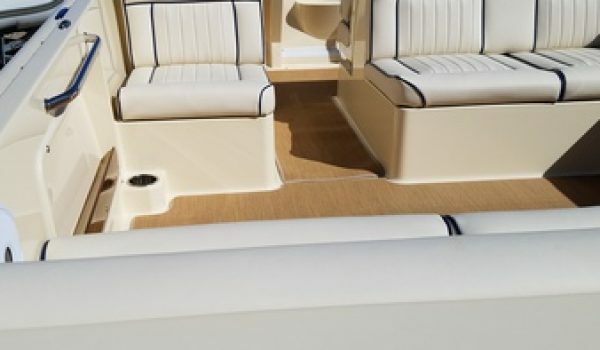 Inboard ride with outboard performance and beaching capability. 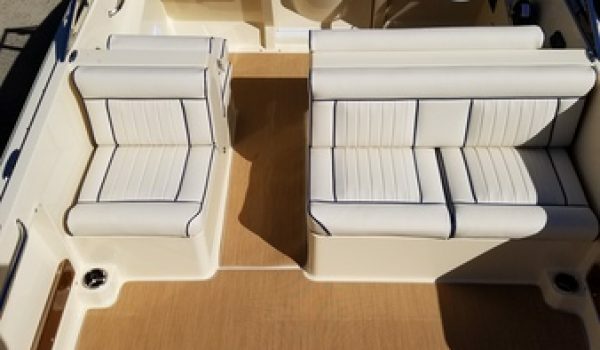 Interior appointments with Blue Piping to accommodate seating up to 10 in comfort & style. 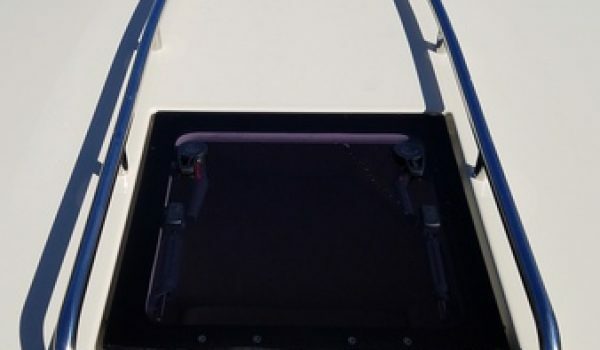 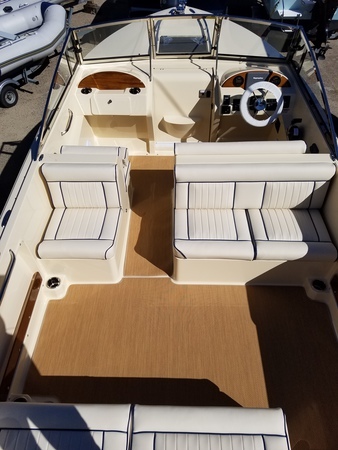 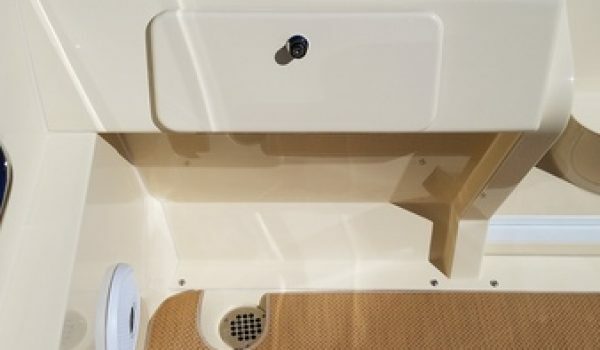 Similar to Boston Whaler or Grady-White this Rossiter is self bailing & Unsinkable that contains no structural wood with limited Lifetime Structural Warranty!